Crete is the largest and most populous of the Greek Islands, and is actually the fifth largest island in the Mediterranean. 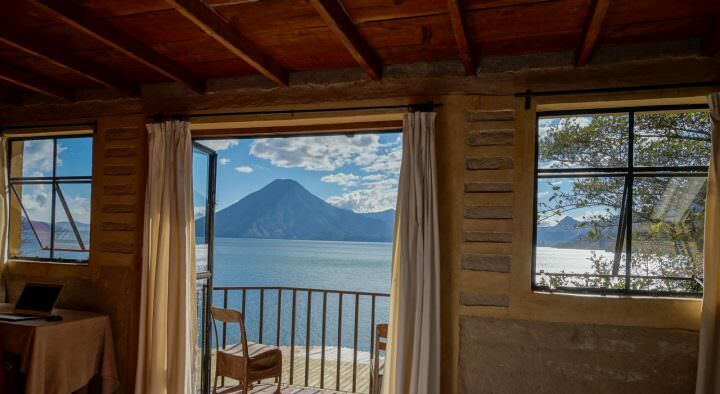 At 260 x 60 kilometers (8,336 km2), a destination this enormous deserves ample time to explore! There are some local buses and taxis available, however, we recommend renting a car for the duration of your stay (try Enterprise as they’re currently offering discounts in Europe). 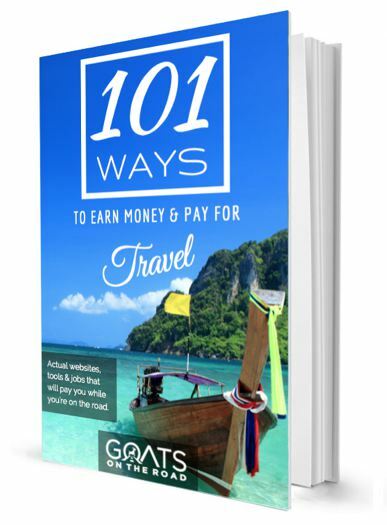 Having your own car will give you the freedom to see multiple sites every day and really get the most out of your trip to this fascinating Greek island. We rented a car for our two-week trip here, and are so glad we did, it’s definitely the best way to see all of the hidden gems that the island has to offer. 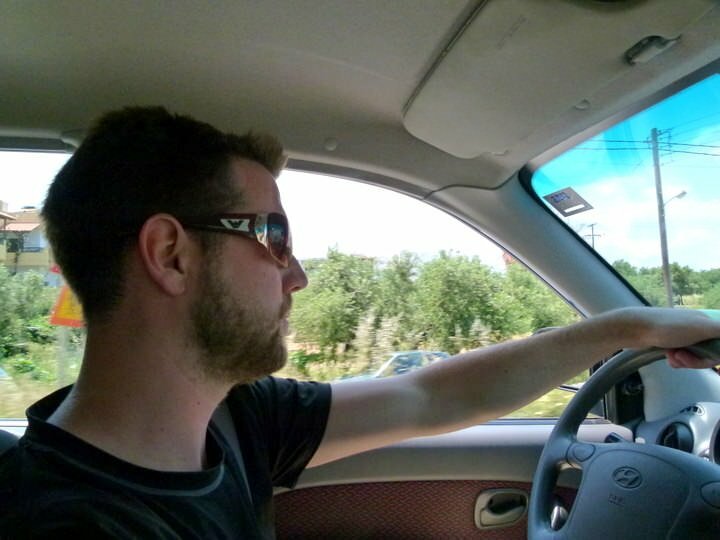 Cruising around Crete in our car – the only way to go! 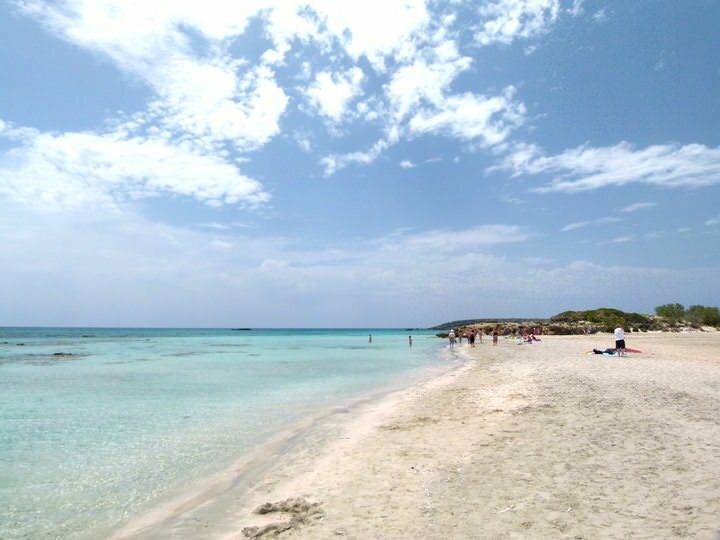 Here are 5 sites that you won’t want to miss while you’re cruising around Crete! Unfortunately, much of the pink sand has been taken from the beach, but on a sunny day you can still see a light rose hue glimmering from beneath your toes. Visitors are asked to keep the sand where it is and not take it home with them so that future generations can enjoy this peculiar pink paradise. This is without a doubt one of the most breathtaking beach settings we’ve ever seen, and is a place that you’ll need your own car to get to. After 7 kms of extremely bumpy road you’ll arrive at a parking lot which is situated at the top of a cliff. You’ll probably want to wear good shoes for the walk down to the beach (although Dariece did it in flip-flops). Once you crest the edge of the mountain, Balos will reveal itself in all of its glory. A large sandbar stretches part way across a neon blue peninsula and this is where you’ll find everything that Balos has to offer. A group of chairs with umbrellas! That’s right, the only thing on this idyllic sandy stretch is a few lounge chairs to relax on and a view out over the aquamarine Mediterranean water. 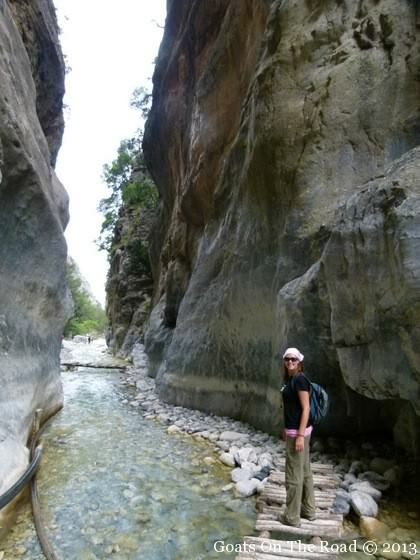 A National Park since 1962, Samaria Gorge is a lovely place to go for a walk…a very long walk. Visitors usually start at the top of the gorge (though you can do it in reverse), with a starting altitude of 1,250 meters. A path meanders through lush forest and follows a river which forms waterfalls at certain parts of the trail. The entire walk is 16 kilometers and because it’s downhill, it’s quite easy and relaxing (though a bit hard on the knees). It’s best to start the hike at (or before) sunrise to try to beat the crowds, because as soon as the sun comes up, you’ll be heel to toe with other hikers. Located 5 kilometers south of Heraklion in Crete, The Minoan Palace of Knossos is a definite must-see historical site on the island. 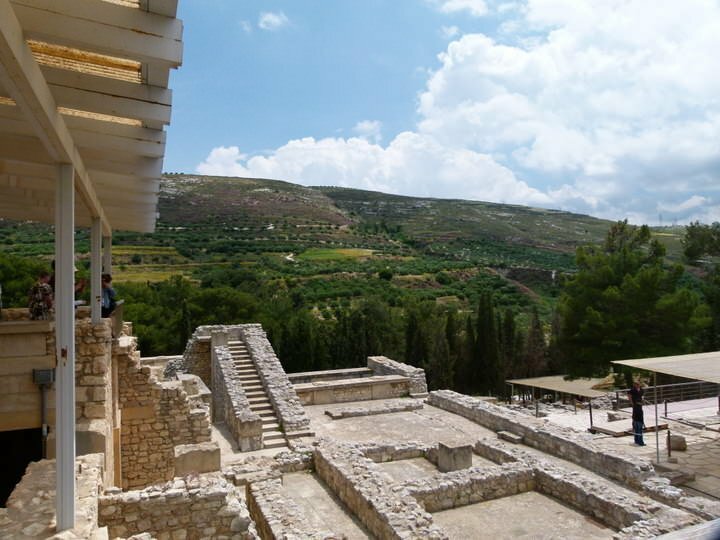 According to tradition, Knossos was the seat of the legendary Cretan King Minos, who was notorious for sending 14 kids into a maze every 9 years to be eaten by a Minotaur. The city was continuously inhabited from 7000 B.C until Roman times but wasn’t discovered and excavated until 1900 AD. Walking around the site and looking at the many frescoes, palaces, showrooms and homes, you’d never think that the site was so ancient. Many of the wall paintings appear to have been completed yesterday and the stone carved architecture is as fascinating as it is well-preserved. 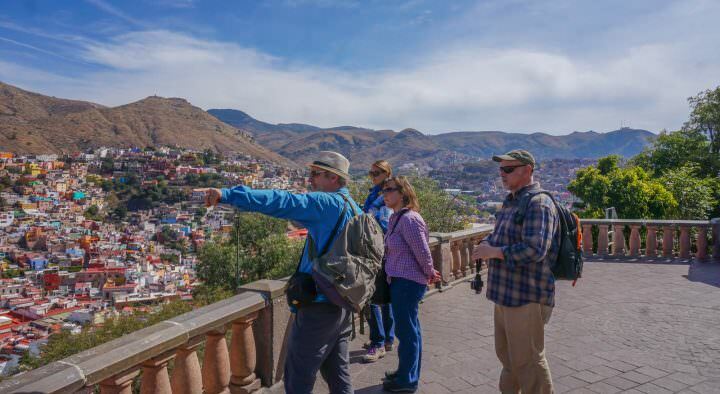 Give yourself a few hours to explore the site and again, come early in the morning to avoid hordes of tour bus crowds. Visiting the Lasithi Plateau is one experience on Crete that you’ll definitely be glad you rented a car for. The plateau covers an area of over 130 km² and it is full of tiny traditional villages, fertile farmlands, archeological sites and ancient caves. Make sure to stop off at one of the many quaint restaurants serving up local wine, feta cheese, bread and tzatziki, the perfect lunch! Give yourself an entire day to explore this area, not only because it is enormous and there is a lot to see, but also because half of your time may be spent waiting for herds of sheep to cross the road in front of you! 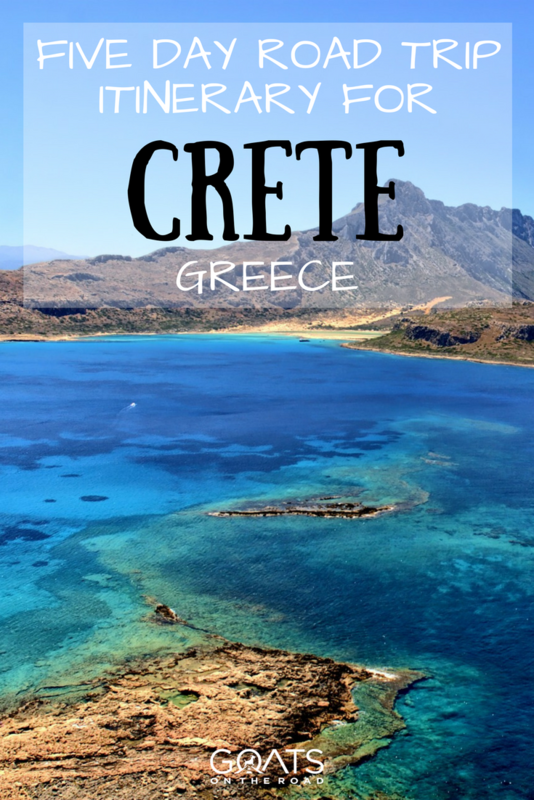 When we visited Crete, we were amazed at how many world-class historical sites, hikes and beaches were packed all around the island. Our days were filled with exploring, relaxing and learning about history and while we did see much more than just the 5 sites listed above, they were definitely highlights for us! 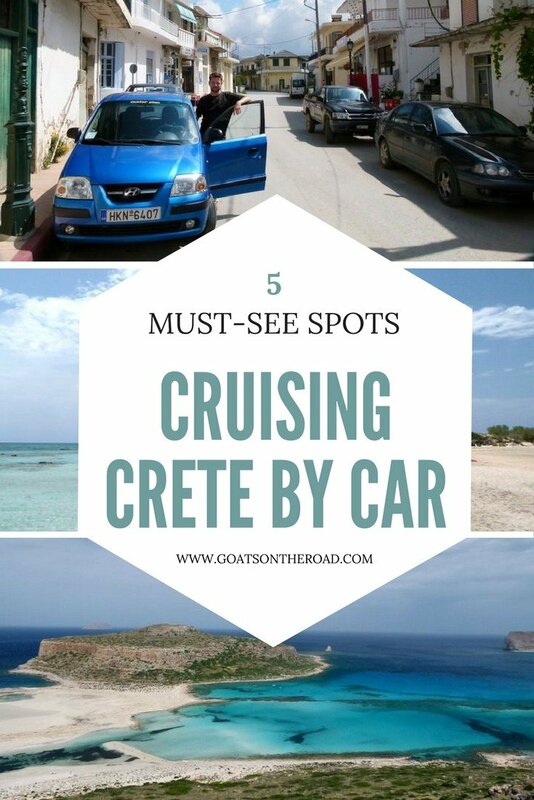 If you’re heading to Crete, get a car, cruise around the island and make sure you don’t miss these top sites. Wow! Greek Islands always fascinate me. My favorite one is Crete. 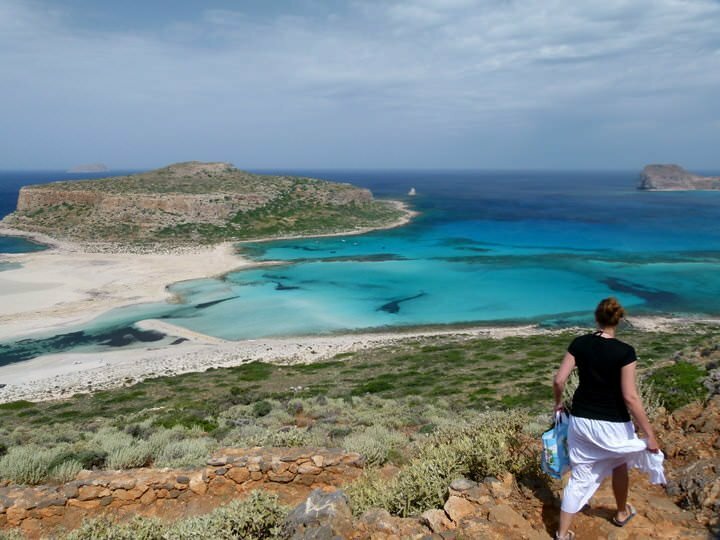 These are amazing cruises for Crete and I absolutely loved reading about them. I will now plan my holidays with entire family and friends for a blast there. Thanks! I love Greece! My favourite country! The people are super friendly and the food is delicious! 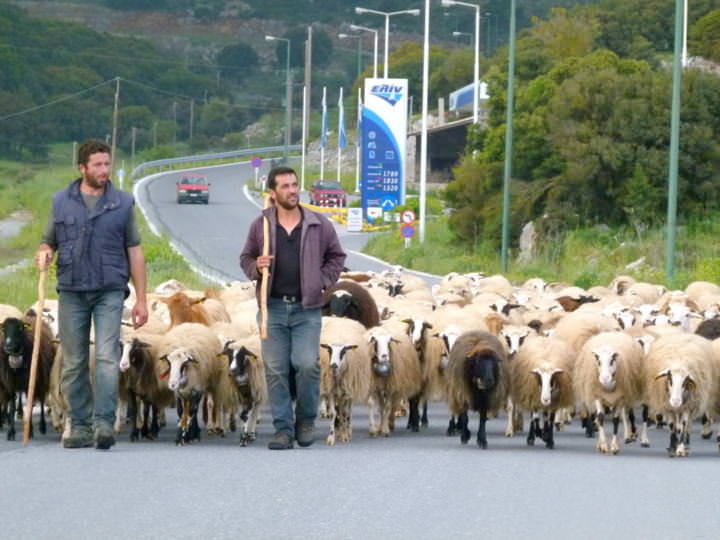 I did a 3 week tour of the Peloponnese in 2010 and I can’t say enough good things. Delphi and Olympia are busy during the day with tourists, but if you stay over night the city and locals are wonderful when they aren’t surrounded by bus loads of tourists. In Delphi a bartender showed us how to dance like the Greeks – fabulous memory! 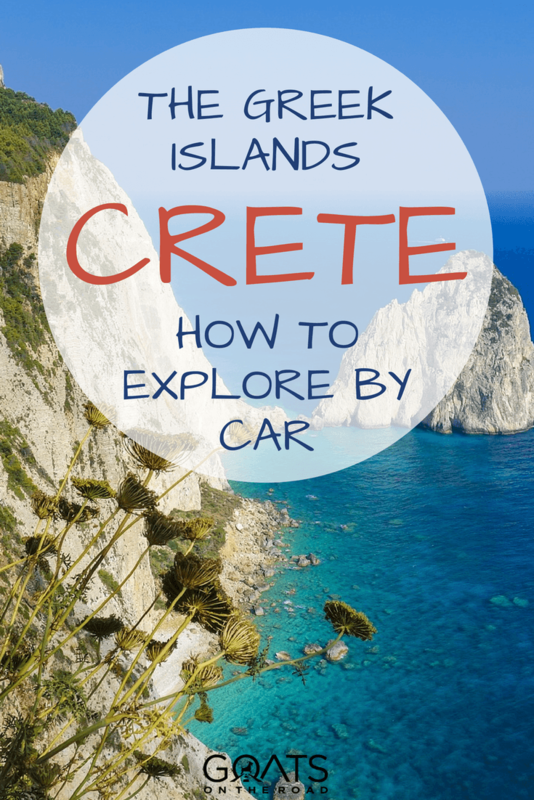 I loved Crete and agree, you definitely need a car. I stayed in a small town called Georgeopolis and recommend it for great beaches, very relaxing walks and small town charm. That sounds amazing! We actually never made it to Peloponnese, we’ll have to go back. I miss the food! While I like your recommendations, I must disagree with your insistence on renting a car. 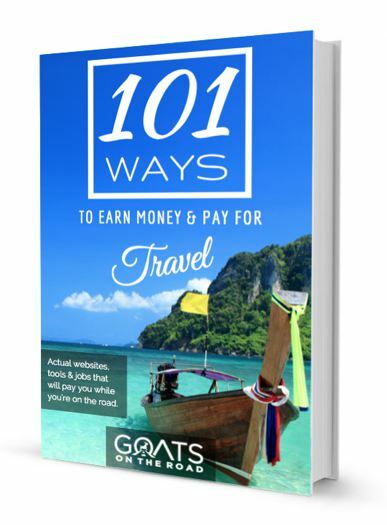 As well as the fact that the Cretans are insane drivers, all the places you mention, as well as many more spectacular sights are accessible by public transportation and/or on foot. Samaria especially is a mistake with a private car. After you get out at the bottom, tired and exhausted, it is far better to stay overnight in Agia Roumeli which is gorgeous in the evening after the thundering hoards have departed, than drag your aching feet onto the boat. BUT then, you would have to take a bus back to the top of Omalos to retrieve your car. Far better to take the bus in the first place. What type of car did you guys rent and did you find that the roads were difficult to navigate? We’re going to stay in the Chania area.